The scented candles are made with blend of high quality vegetable wax, paraffin wax and pure jasmine essential oil. This candle is used for creating that perfectly luxurious atmosphere of relaxation and peace. 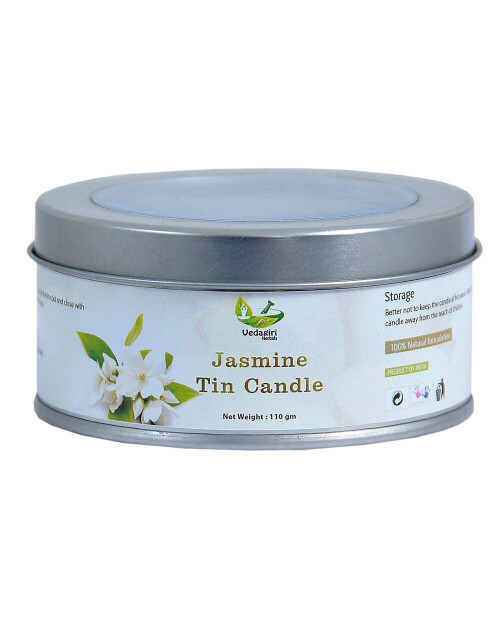 Jasmine Tin candle is beneficial to promote good sleep, antidepressant, reduce stress and nervousness and it is also an air purifier. The candle burns without soot. Open the lid and light the wick. After use, let the tin cool and close with the lid. Burn time of the candle is 18-20 hours.